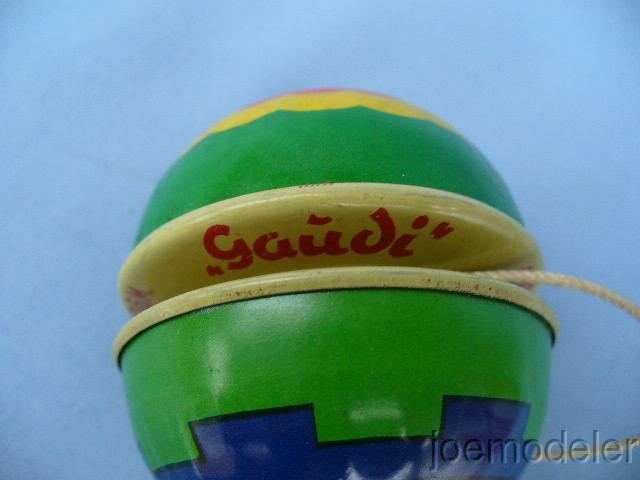 Vintage 1952-66 Lehmann #800 “Gaudi” Tin Yo-Yo. 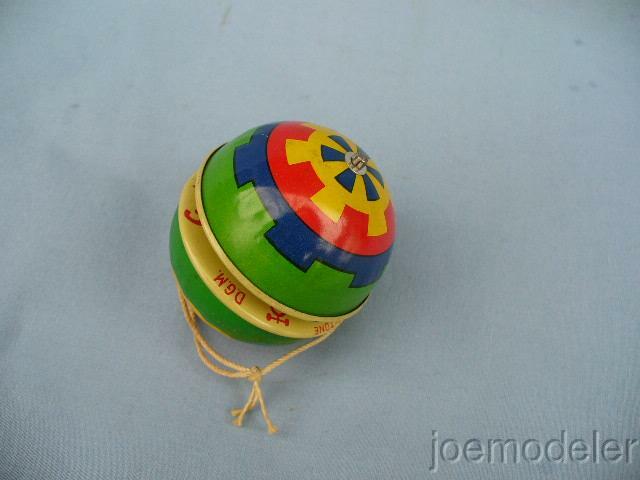 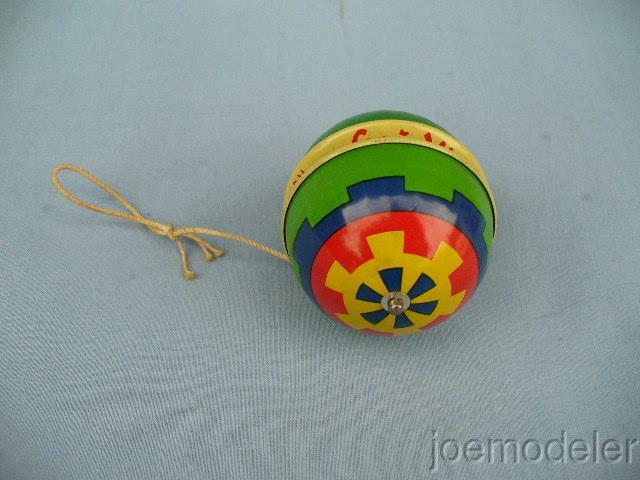 This is a pretty cool vintage Yo-Yo from the Lehmann Patentwerk Firm and was produced between 1952-66. 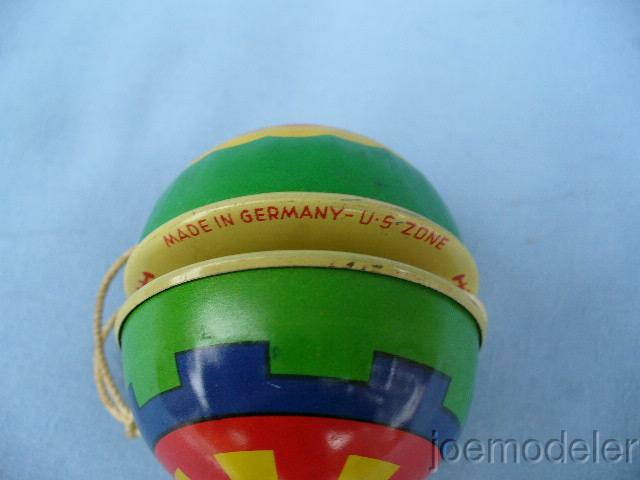 It is marked “Made In Germany U.S. Zone” and has the Lehmann trademarks. 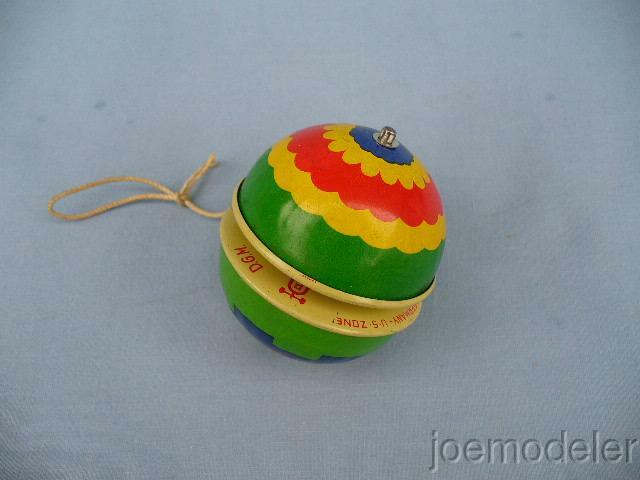 It is multi-colored and made from tin / pressed steel. 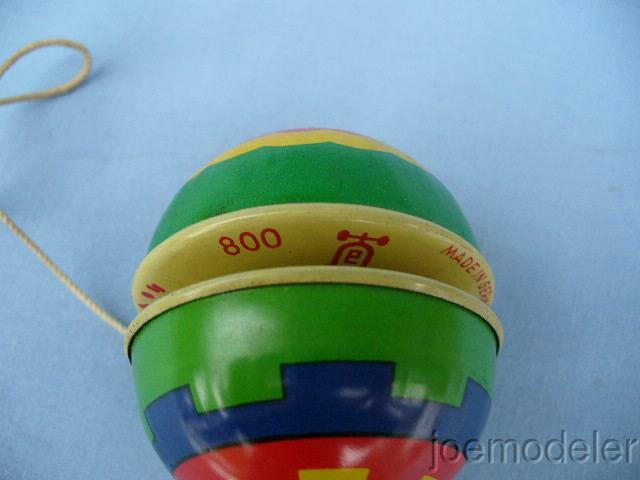 It measures about 2 5/8″ high and about 2″ wide. 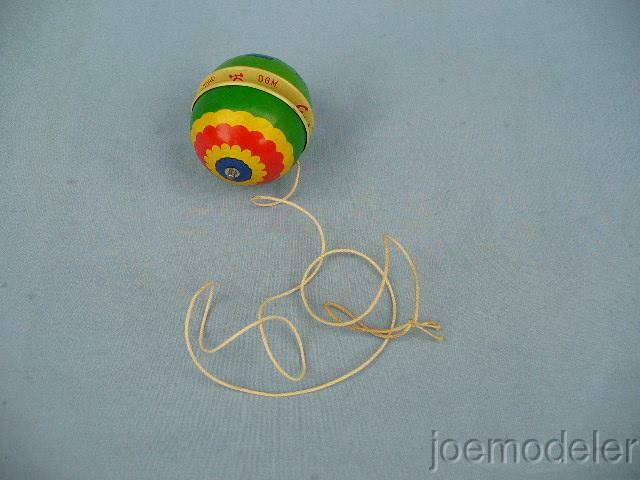 The string looks original. 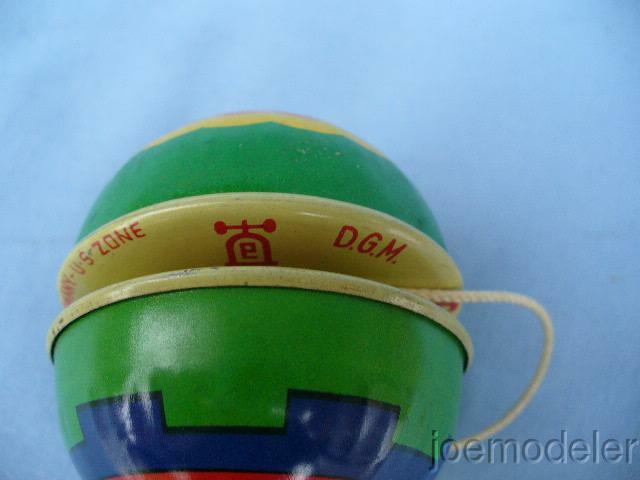 It looks to be in new condition, with just a few very, very minor paint nicks along the center edge. 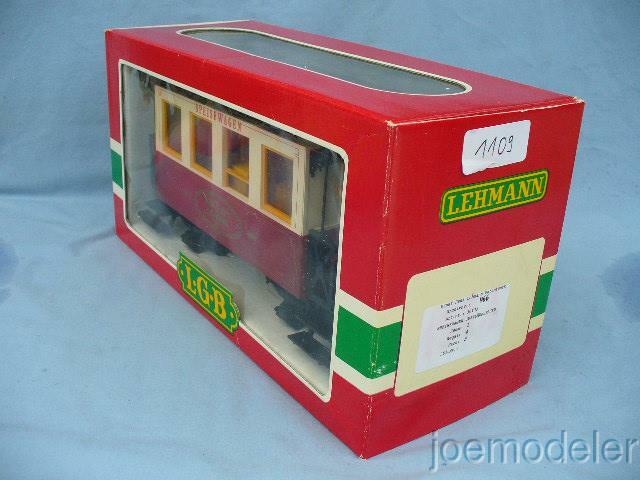 Made by the same company that brought you LGB trains.